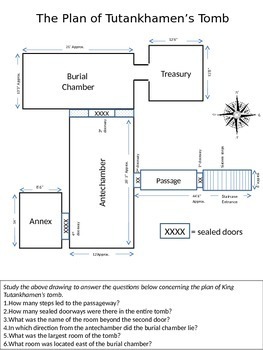 A diagram created on Power Point detailing the dimensions of King Tut's tomb. There is a cardinal rose and six corresponding questions. This was created for a 6th grade Ancient History or World History class.